Lately, as I view Zentangle tiles and artwork shared on the Zentangle Mosaic app, I find myself once again asking, What is Zentangle? Is Zentangle an art form? 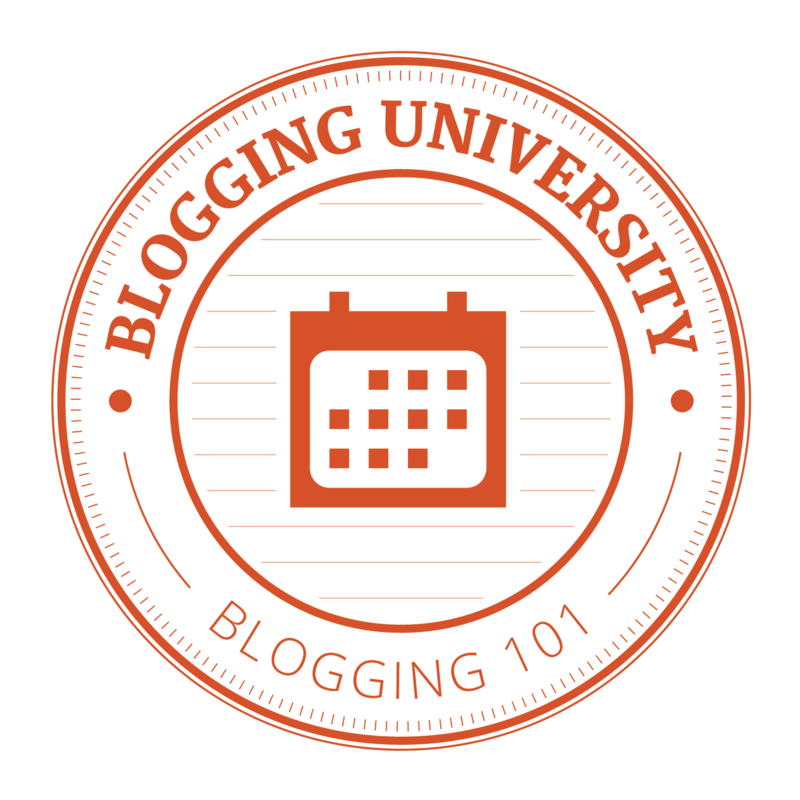 Is it a meditative process? Is it a creative process? Is it a method of relaxation? Does it help me feel better about myself? Does it calm me when I am tense or anxious? Does it teach me? Does it help me in my quest to learn to express myself through art? Does it reflect who I am or who I am becoming? Does it help me see the world more clearly? Does it build my confidence? The answer to these and many more questions is, Yes! Zentangle is and does all these things and more, all through very simple strokes of a pen. The simple strokes, when put together, result in a product that is creative in its essence. But the process of creation–especially for those of us who are convinced we are artistically challenged–awakens a sense of self and a sense of accomplishment that brings contentment, inner peace, self pride, and other positive feelings while one is actively paying attention to the strokes of the pen. Since the process is not intended to result in a picture that represents anything in particular, the work can be appreciated for what it is–a reflection of one’s own being during the work’s creation. Certainly, as one learns new patterns and creates more complex spaces to fill with patterns, the process may more clearly reflect what we sense about the world around us. But it is not the intent of the Zentangle method that any picture–scene, bird, state of mind–should be planned. The process is meant to be spontaneous in its creation and output, reflecting nothing more than an arrangement of patterns that feel right at the time. Here are some examples of “first” tiles created by using three different books. These tiles, or Zentangles produced on 3.5″ x 3.5″ artist paper tiles, are just to give you an idea of what can be done on your first day of tangling. The top one was created using the first 4 patterns presented in Suzanne McNeill’s workbook called Zentangle 1: Basics. The center tile used Day 1 patterns in Beckah Krahula’s One Zentangle a Day. 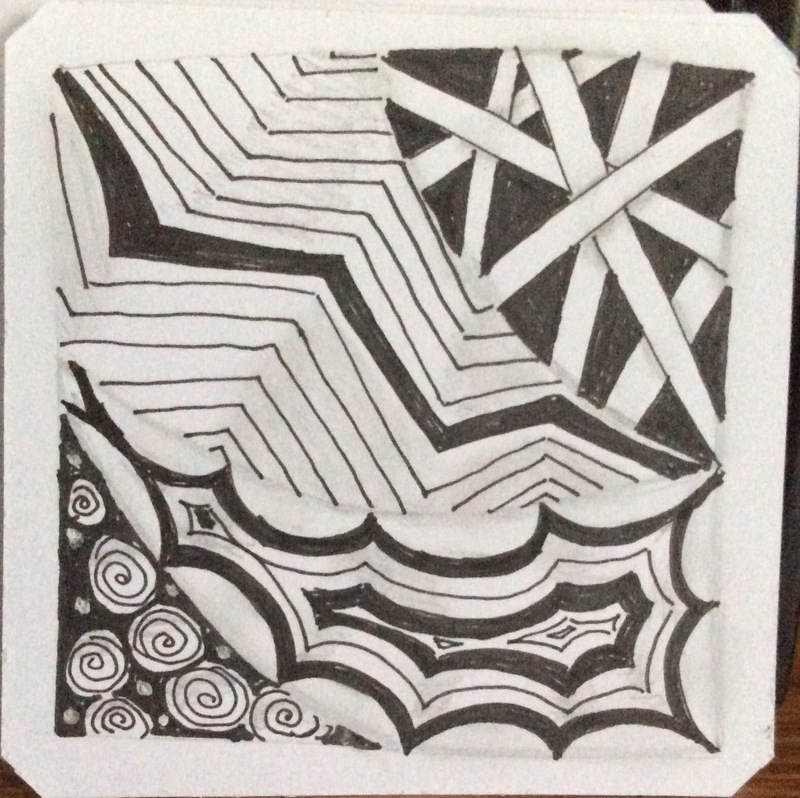 For the bottom tile, I used Lesson 1 in the Zentangle Primer, by Zentangle founders Rick Roberts and Maria Thomas. I will talk about the three books another time, mostly because which book I would recommend depends on how you plan to use your tangling and what you choose to do with your tiles and skills. Here, I am merely pointing out that something unique and lovely comes out of first attempts. Even if some of the patterns look difficult, they are not. When I learned to Zentangle, I had to do it pretty much on my own. On the island of St. Martin, where there are two tiny countries and on which I live, there were no Certified Zentangle Teachers to guide my work or answer questions. No one I knew had even heard of Zentangle. That is one of the reasons I will be bringing Zentangle to the countries of Saint Martin and Sint Maarten in May of 2017–only a few months away. I hope to first offer free workshops to troubled school children and bored senior citizens. Later, I hope to expand to offer workshops to people on the island who, like me, are looking for a meditative method that involves doing while relaxing, and that can be done anywhere. 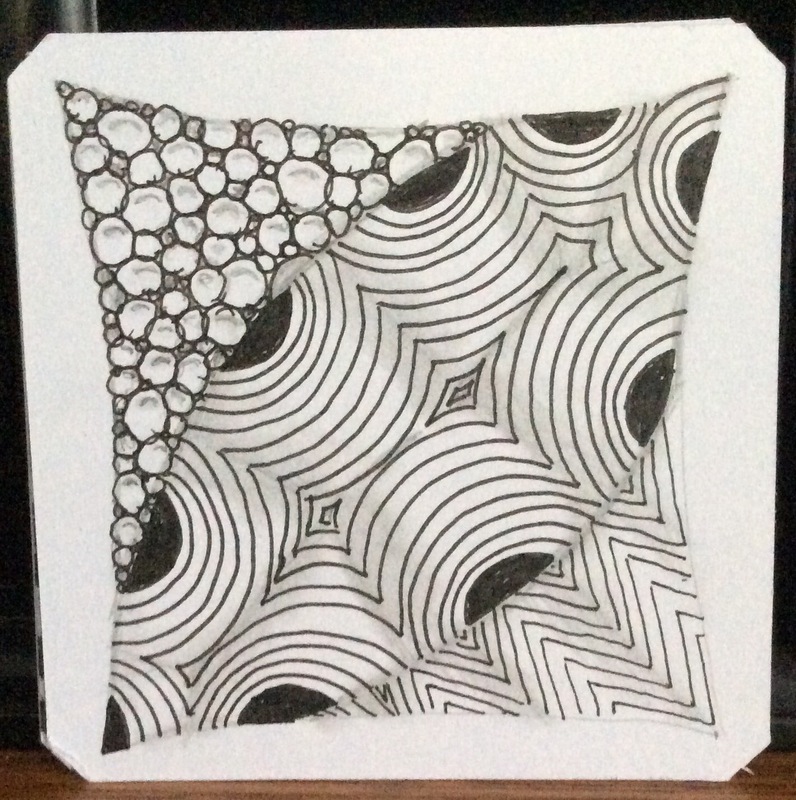 More about what Zentangle is, and maybe what it is not, next time! 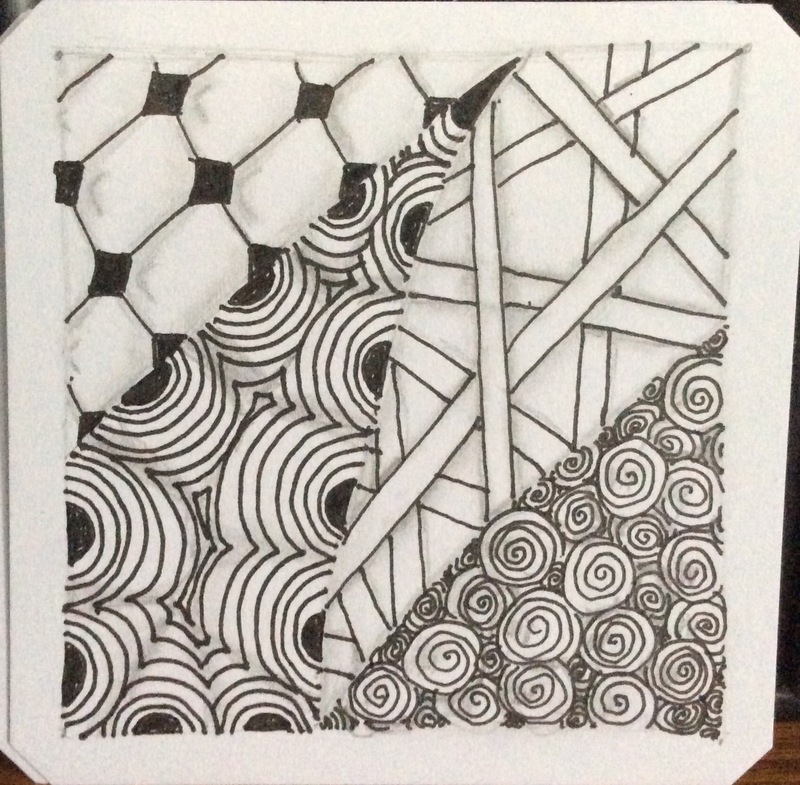 This entry was posted in Zentangle and tagged Art, meditation, relaxation, St. Maarten, St. Martin, SXM, Zentangle. Bookmark the permalink. 1 Response to What is Zentangle?